Insurance fraud happens more often than you might think. As a matter of fact, insurance fraud is a multi-billion dollar industry. According to the Coalition Against Insurance Fraud, insurance fraud costs the American economy more than $80 billion, while the RGA 2017 Global Claims Fraud Survey concluded that 3-4% of all insurance claims are fraudulent. In other words, 1 in 30 insurance claims is fraudulent. Insurance fraud doesn’t only affect insurance companies. It can affect us too! Because of a large number of false claims, the average household is forced to pay higher premiums. The insurance companies are stricter when it comes to paying claims, so you may need to hire a private investigator to help you settle an insurance case and benefit from your insurance privileges. But what exactly can be considered insurance fraud? Insurance fraud is not limited to only a few deceitful consumers that try to scam insurance companies. 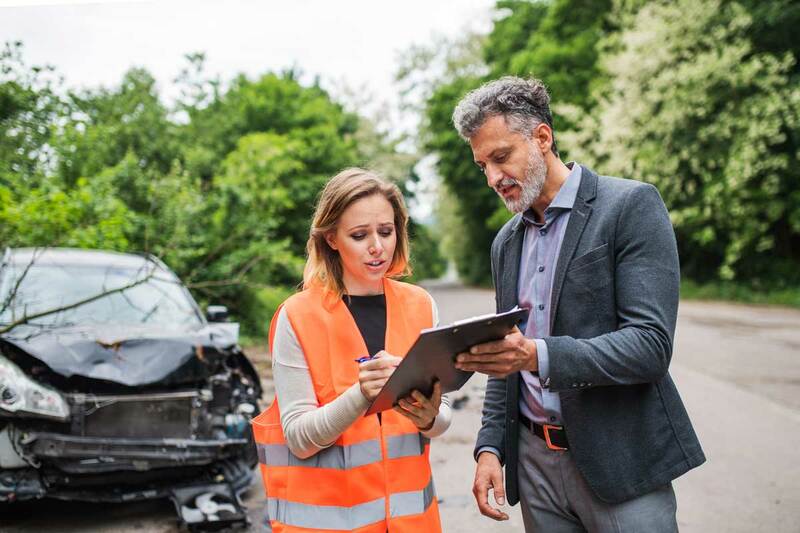 Insurance fraud comes in various forms – from individuals who are overestimating the value of their belongings and contractors that are over-billing to crime rings that crash cars and even insurance companies that falsely deny payouts. And this costs us all! Can be committed by both the employee and the employer; from fake or exaggerated injuries and falsely claiming that the injury occurred at work to claiming that the employees are independent contractors or lying about the type of work provided by their employees for lower premiums. So how does a private investigator conduct a fraud investigation? Private investigators are trained to conduct insurance fraud investigation cases and have different methods to reveal the truth and determine if the claims are true or false. The method that almost never fails is surveillance. Stakeouts may be old-fashioned but they are the fastest and most accurate way to determine whether someone is committing insurance fraud or not. For example, if someone is claiming an injury, their activities should reflect this. You won’t be able to go to the gym if you’re claiming to have a back injury, will you? Private investigators also check medical reports and previous claims. They conduct history and accidents search, as well as advanced background checks. Moreover, witness interviews and social media can also be a valuable source of information because… people can do stupid things – like posting photos from a ski trip when they were supposed to have a leg injury. Some people try to create alternative social media accounts to be able to boast without the risk of being caught, but private investigators have the right skills to track down those accounts and use them as evidence. Even if the claimant doesn’t post photos, there is always a friend that can post photos of them and ruin their entire insurance fraud plan. One thing you need to remember is that private investigators don’t work only for insurance companies. They can also help individuals who are the victims of fraudulent insurance claims. For example, someone may intentionally cause a car accident and then claim that it was your fault. This might result in higher premium costs for you and even a court case. A private investigator can solve this problem without having to go to court. Private investigators can also help you get your money from insurance companies that are trying to postpone your payment or pay less than you’re entitled. All you have to do is get in touch and they will help you settle your insurance problems.